This is the one to have,here we have a super original 1st issue copy of this ground-breaking album from1973 on Harvest records,cat number SHVL 804. 1st issue with A-2 & B-2 matrix numbers,dark blue sleeve,black poly lined inner sleeve with patent numbers on,both posters and both stickers. Vinyl......Ex,superb glossy vinyl,excellent labels,few whispy spindle marks,odd very light mark,plays through lovely with just a bit of static on lead-ins,I`ve got a brand new re-mastered copy which has more noise on it ! Sleeve...Ex-,original dark blue sleeve with original black inner. There`s a small amount of ring/shelf wear,some very small creases around the edges,and a very small amount of wear to top edge and top corner,and one or two marks to front and back. The posters are near mint,in fact they are so good I wonder if they have been replaced at some time,not sure. Both stickers are original "Fasprint" ones,both have a crease across them,I suspect they have got caught in the gatefold at some time. Please have a look at my other great 70`s records. Buy upto 5 albums and I won`t charge you any extra P&P. All overseas parcels will be now sent on the premium tracked service,due to many going missing. All albums are posted in professional cruciform cardboard mailers,buy with confidence. 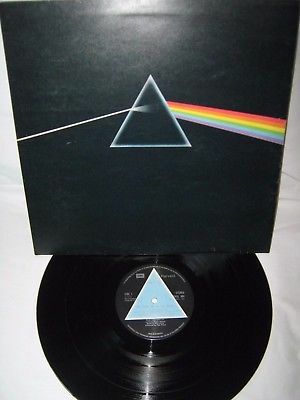 TRUSTED SELLER,PLEASE CHECK OUT MY OTHER RECORDS FOR SALE,ALL NO RESERVE.